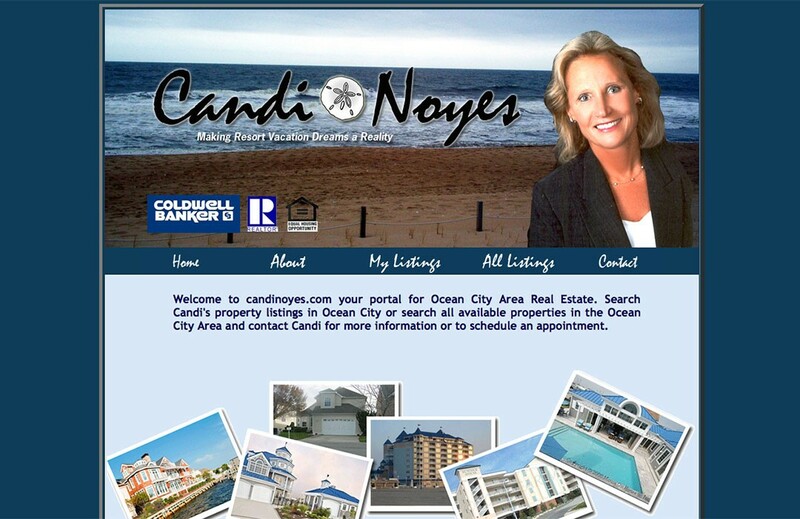 Candi Noyes has over 35 years of experience in the Resort Real Estate Industry on Maryland’s Eastern Shore. Candi holds real estate licenses in Maryland and Delaware. Her vast experience includes all aspects of residential property investment, sales, leasing, and management. Candi has a distinctive real estate career earning many professional certifications and awards. Mrs. Noyes needed a brand and a simple website that would highlight her achievement in the field but mostly feature her listings. NBR designed a logo and created a website that evoked the coastal are where Candi works. aAdditionally we were able to set up a Multi List to show her own listings as well as that of the brokerage as a whole.